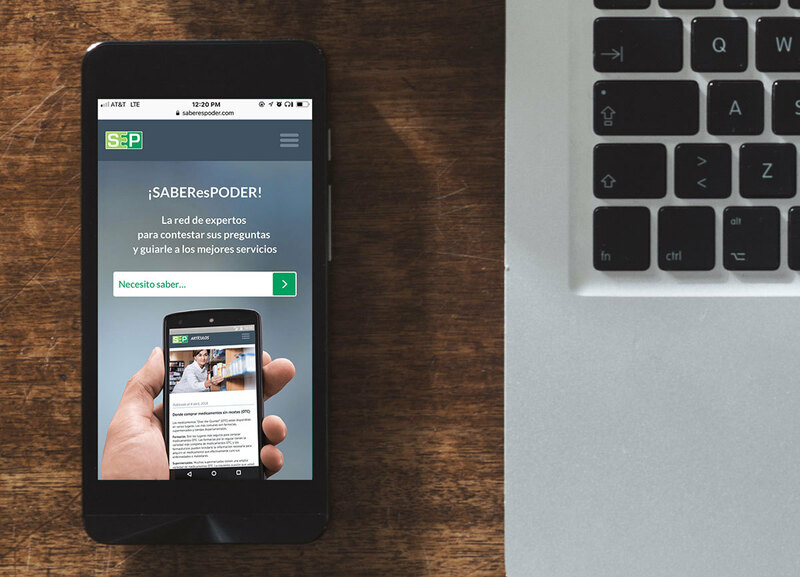 SABEResPODER (SEP) is an organization dedicated to empowering Spanish-speaking immigrants. Through their various resources, SEP aims to inform, educate and encourage their audience to become empowered individuals in the United States. 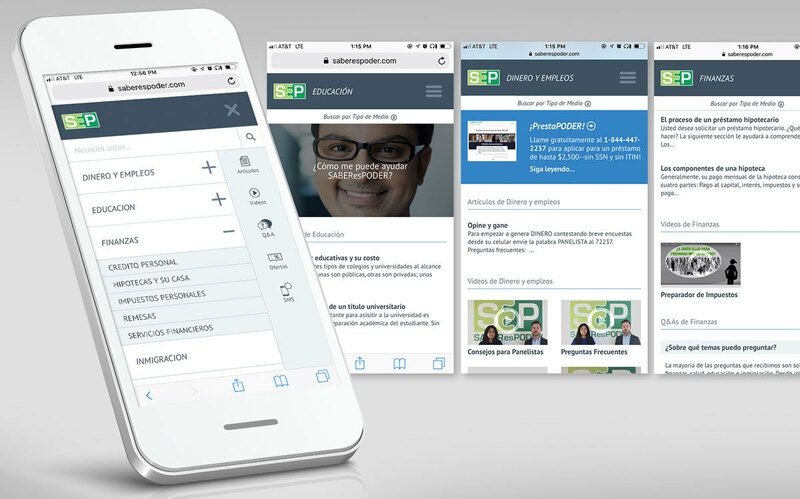 Whether in finance, education, employment, large purchase decisions or healthcare, SEP provides their 1,000,000+ users with content through their website, SMS platform, and presence in consulates. With such an explosion of users in their community, they needed a site that could better organize the wealth of information they provided to their audience and help their users find the answers to their most pressing questions, all while keeping them engaged. The fact that Vuepoint has been in partnership with SABEResPODER for nearly a decade made collaboration with them that much more seamless. Of course, we still had many thorough discussions to ensure our visions were in alignment. 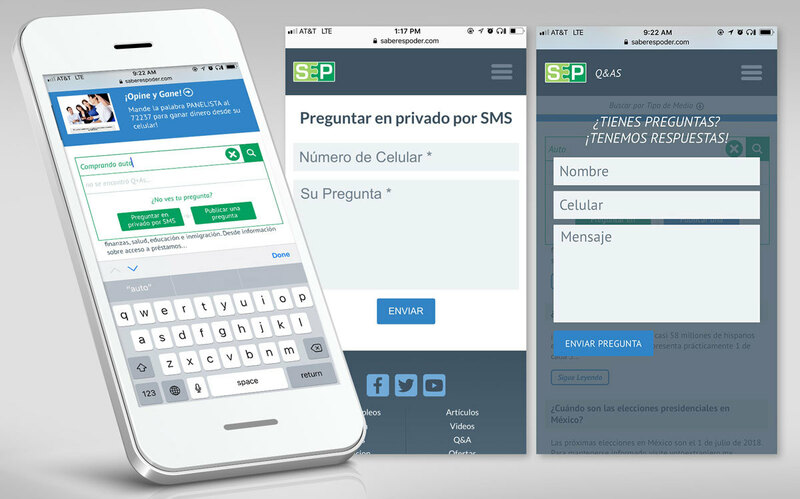 Because SABEResPODER primarily communicated to their audience via their SMS (text messaging) platform, it was clear to us that reaching their audience via smartphone was the best way to go. 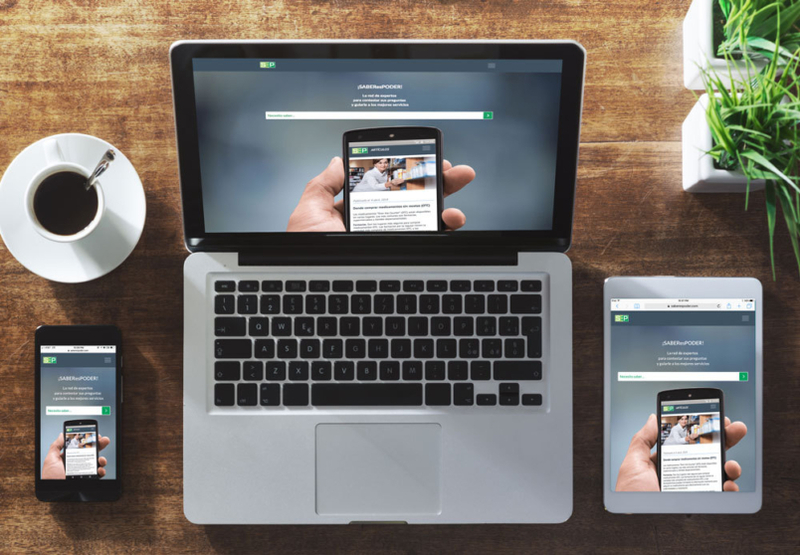 And so it was decided, a mobile-first website would be our top priority. The site design and structure was key to allowing their audience to effectively find the answers to their questions or simply browse and learn something new. We organized the information on the site into categories to ease the users’ navigation process. By placing information into specific sections, we helped to break up the content to be more visually pleasing and less overwhelming. The information on the site fit into 6 main categories: finances, immigration, health, education, and employment. Each category displays a feed of the most recently added content, much like a news or blog site. This functionality was crucial due to the sheer volume of content that will be regularly added to the site via our favorite CMS platform, WordPress. Because there is a variety of media consistently being added to the site, if a user prefers browsing by video, offer, articles or Q+A, they can easily filter all content that way as well. We created a search bar function immediately on the home page to give their audience quick access to the information they were looking for. This meant that users could instantly start searching for their desired topics the second that they visited the site; saving them time and making their search process seamless. If a user is having a difficult time finding answers to a specific question, we’ve implemented a fully functional Q&A section, where they may contact a SABEResPODER representative directly. Offering them a direct line to a specialized expert helped to give users assurance that their exact needs would be met in an accurate and timely manner. A discussion field was also added to the Q&A section in order to encourage an interactive community. With this field, other SABEResPODER users could provide their input to a question and offer a different perspective or solution. Overall, we were able to provide our client with a mobile site that they’ve been dreaming of for a very long time. 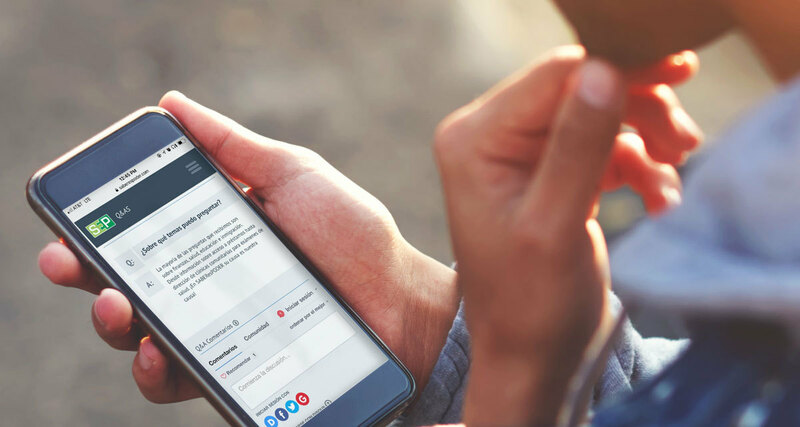 Even more, we were able to connect SABEResPODER to their audience, providing them with the information they need most, enhancing their experience and creating a streamlined path for communication.